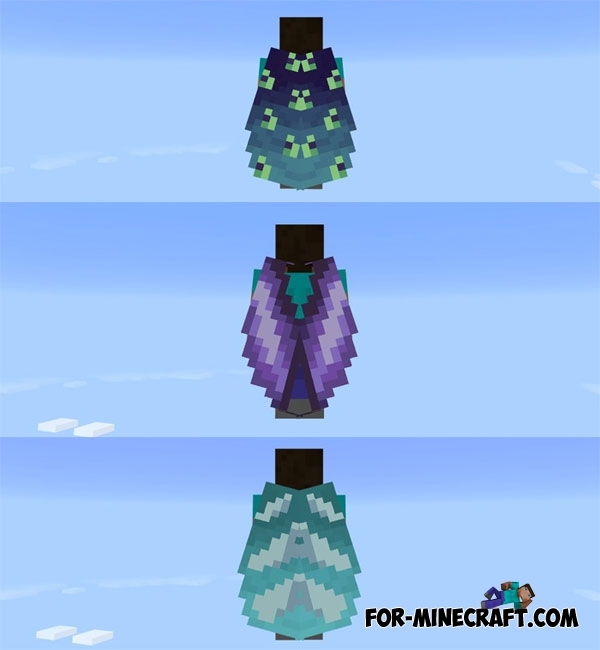 Ordinary elytra is the past. By installing this pack, you'll get more than a dozen different elytras for every taste. Even the choosiest player could not resist these wings and be sure to try them on for yourself. 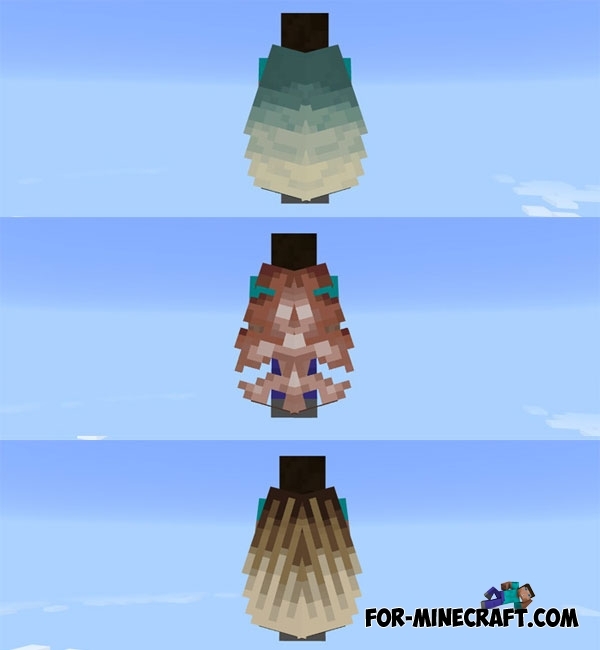 New elytra completely change the character's appearance and make it more individual and notable among others. These wings look like the wings of a butterfly, with which you can quickly and effectively to descend from the mountain. Impress yourself and your friends a beautiful and graceful flight. 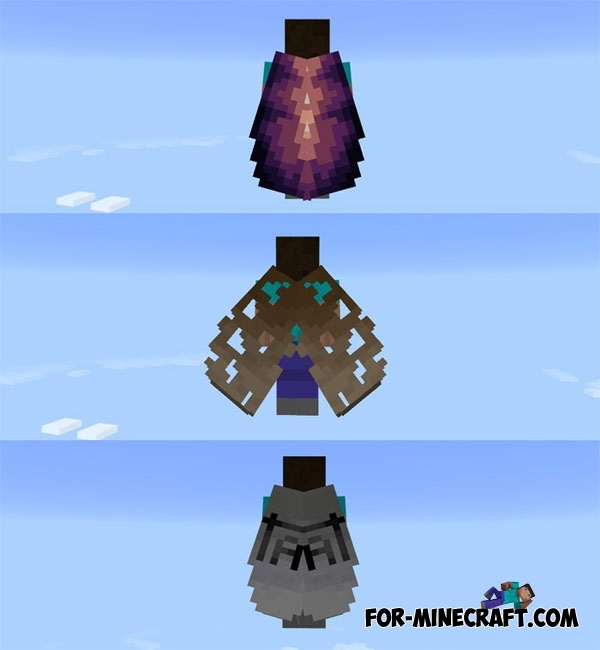 In this version the pack consists already of 30 amazing wings. Elytras separated and have names for easy finding. Now, it is the largest and high quality pack of wings for Minecraft PE. This update contains new elytras, so you can try on 22 wings. The second version is at the bottom. Just download the file and unzip it. Then open the game and choose your favorite wings in world settings.